Sedans have undergone a remarkable transformation from steady but boxy road warriors to beautifully crafted vehicles with technology to match the needs of today’s drivers. Add to this proactive safety features and versatile seating and storage solutions, and it’s easy to see why sedans still command much attention in the marketplace. The downside is that these developments have driven up the price of sedans–particularly in the luxury market where you are more likely to find the latest innovations. With this in mind, AxleGeeks ranked the most expensive 2015 sedans. These sedans demonstrate what happens when the best innovations in style, technology and performance merge to make exceptional vehicles. These cars do, however, come with a high sticker price. The Audi A8 L W12 quattro 4dr Sedan AWD (6.3L 12cyl 8A) starts at $137,900, certainly more than the expected price of a 2015 full-size luxury sedan, which costs $94,400 on average. Performance is where the 2015 Audi A8 L W12 quattro gains an edge over its competition, as its 6.3-L W-12 engine generates a heart-racing 500-horsepower, overpowering many of its luxury counterparts like the Mercedes-Benz S550. The Maserati Quattroporte GTS 4dr Sedan (3.8L 8cyl Turbo 8A) starts at $140,500, certainly more than the expected price of a 2015 full-size luxury sedan, which costs $94,400 on average. The 2015 Maserati Quattroporte GTS delivers an exhilarating driving experience with its ability to go from 0 to 60 mph in just 4.8 seconds. Adding to its allure is a well-equipped interior with premium leather seating trim and a navigation system that responds to voice commands. The BMW 7 Series 760Li 4dr Sedan (6.0L 12cyl Turbo 8A) starts at $141,200, certainly more than the expected price of a 2015 full-size luxury sedan, which costs $94,400 on average. Versatile is a great word to describe the 2015 BMW 760 Li. With features like Driving Dynamics Control, you have complete mastery over the feel of your drive as you can shift between six different driving modes. The Porsche Panamera Turbo 4dr Sedan AWD (4.8L 8cyl Turbo 7AM) starts at $141,300, certainly more than the expected price of a 2015 full-size luxury sedan, which costs $94,400 on average. 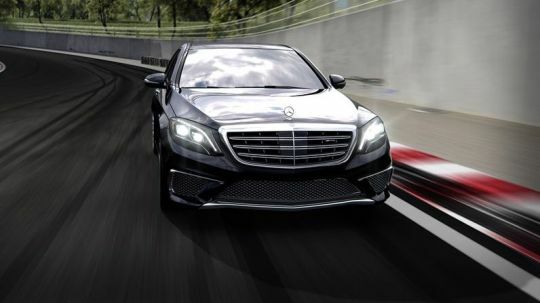 With a top track speed of 192 mph, a 0 to 60 time of 3.7 seconds and an above average horsepower output for its class, performance enthusiasts will love this sedan. The Mercedes-Benz S-Class S63 AMG 4MATIC 4dr Sedan AWD (5.5L 8cyl Turbo 7A) starts at $141,450, a high premium to pay for a 2015 full-size luxury sedan, which costs $94,400 on average. This sedan comes with a handcrafted engine and an innovative four-wheel drive system that launches it from speeds of 0 to 60 mph in just 3.9 seconds. It also features proactive safety additions like Collision Prevention Assist Plus, which uses radar technology to alert drivers of oncoming vehicles. The Porsche Panamera Turbo Executive 4dr Sedan AWD (4.8L 8cyl Turbo 7AM) starts at $161,100, a high premium to pay for a 2015 full-size luxury sedan, which costs $94,400 on average. Porsche took pride in designing this model with a bevy of exceptional comforts including a leather interior, an electric slide glass sunroof, and front and rear ParkAssist. The Mercedes-Benz S-Class S600 4dr Sedan (6.0L 12cyl Turbo 7A) starts at $166,900, a high premium to pay for a 2015 full-size luxury sedan, which costs $94,400 on average. This sedan features responsive handling with the Magic Body Control, which uses a camera to scan road surfaces and adjusts suspension accordingly. Further, its torque output of 612 ft-lbs is in a class by itself. The Porsche Panamera Turbo S 4dr Sedan AWD (4.8L 8cyl Turbo 7AM) starts at $180,300, a high premium to pay for a 2015 full-size luxury sedan, which costs $94,400 on average. The 2015 Porsche Panamera Turbo S has the 4.8L V-8 twin turbo engine that will propel the car to speeds of 124 mph from an idle position in just 12.8 seconds making it a must have for speed enthusiasts. The Bentley Flying Spur 4dr Sedan AWD (4.0L 8cyl Turbo 8A) starts at $195,100, a high premium to pay for a 2015 full-size luxury sedan, which costs $94,400 on average. The Bentley Flying Spur V8 exudes luxury with its mirror-matched veneer dashboard. Its superb technology includes two passenger touchscreens for access to entertainment features. The Porsche Panamera Turbo S Executive 4dr Sedan AWD (4.8L 8cyl Turbo 7AM) starts at $200,500, a high premium to pay for a 2015 full-size luxury sedan, which costs $94,400 on average. Of the more unique offerings in this sedan is the Porsche Doppelkupplung. This revolutionary feature allows the driver to toggle between shifting manually and automatically without a reduction in performance. The Bentley Flying Spur 4dr Sedan AWD (6.0L 12cyl Turbo 8A) starts at $215,800, extremely pricey for a 2015 full-size luxury sedan, which costs $94,400 on average. The 2015 Bentley Flying Spur W12 is a performance machine generating an astounding 616 horsepower giving it more power than many of its luxury counterparts. The Mercedes-Benz S-Class S65 AMG 4dr Sedan (6.0L 12cyl Turbo 7A) starts at $222,000, extremely pricey for a 2015 full-size luxury sedan, which costs $94,400 on average. This sedan achieves the best horsepower in its class with an impressive 621 output. Complementing its performance are exceptional entertainment features like the Burmester High-End Surround Sound System. The Rolls-Royce Ghost Series II 4dr Sedan (6.6L 12cyl Turbo 8A) starts at $286,750, extremely pricey for a 2015 full-size luxury sedan, which costs $94,400 on average. From its powerful body lines to its 6.6L V-12 engine, the fresh design of the 2015 Rolls-Royce Ghost Series II sedan exudes power. This model also features the Spirit of Ecstasy Rotary Dial to make accessing directions or music effortless. The Bentley Mulsanne 4dr Sedan (6.8L 8cyl Turbo 8A) starts at $303,700, extremely pricey for a 2015 full-size luxury sedan, which costs $94,400 on average. Its 6.75L twin-turbo V-8 engine can reach a top speed of 190 mph, giving this sedan incredible performance. Matching its speed is its style, with elegant touches including the Bentley matrix grille and refiled stainless steel tailpipes, which give the sedan its distinctive allure. The Rolls-Royce Ghost Series II EWB 4dr Sedan (6.6L 12cyl Turbo 8A) starts at $319,400, extremely pricey for a 2015 full-size luxury sedan, which costs $94,400 on average. The 2015 Rolls-Royce Ghost Series II EWB features a vibrant interior with hand-stitched leatherwork and veneer options such as Malabar or Walnut Burr made from a single tree. Adding to the ambience is the 18-speaker Bespoke Audio System to give the interior a perfect acoustical balance to match its appearance. The Rolls-Royce Phantom 4dr Sedan (6.7L 12cyl 8A) starts at $407,400, extremely pricey for a 2015 full-size luxury sedan, which costs $94,400 on average. This sedan epitomizes luxury from its elegant stance to intricate features such as a stored umbrella in each door and lambswool rugs that provide exceptional comfort. Its V-12 engine generates effortless acceleration to make drives as smooth as they are luxurious. The Rolls-Royce Phantom EWB 4dr Sedan (6.7L 12cyl 8A) starts at $480,175, extremely pricey for a 2015 full-size luxury sedan, which costs $94,400 on average. The extended wheelbase version of the Phantom provides guests with 250mm of additional legroom and two 12-inch flat screen monitors to give them a first-class experience. Drivers will love the power in reserve feature where the V12 engine only uses 75 percent of its torque for speeds up to 70 mpg. This provides an unrivaled smooth drive.